Profile: Kodak Retina IIc 020 – We love photography! Produced between 1954 and 1957 (depending on who you ask…) the IIc listed for $135 which was a lot of money at the time. But for your buck, the camera boasts a bunch of quite sophisticated features. Manual advance and rewind, obviously. The IIc even features a couple of clever fail safe stops e.g. the lens won’t fold back in unless you set it to infinity (a feature which the famous Bessa III lacks sorely. I’ve seen one too many IIIs with a ruined lens from it not being at infinity when stored back in the body of the camera). All real metal and tough leatherette. The IIc on my desk has been churning out photos for almost 60 years and is showing no sign of breaking down. The leatherette is pretty much as it would have been on the day it left the factory, albeit a bit dustier. I’ll bet you can drop this from 3 meters onto concrete pavement and still have a working camera for your sunset photographs this afternoon. Brilliant. They don’t make them like this anymore. 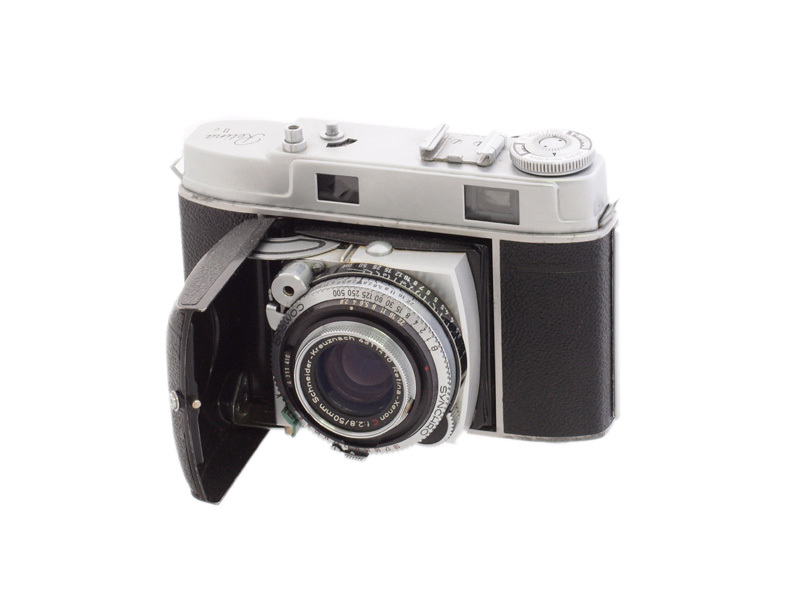 I kinda prefer the more art deco styling of my IIa, but this was a wonderful line of German cameras. Love shooting mine! Yes, the IIa has a really neat squared-off form in comparison to the rounder IIc. Great cameras.